As a wholesaler, your goal is to stock merchandise that your customers will want, and you need to carry it at an attractive rate that will appeal to those buyers. Additionally, quality is important if you want your retailers and consumers to continue returning to you. The team at Nalboor is ready to provide you with quality merchandise at very competitive rates, so you can carry the premium stock that your customers are looking for and capture the sales you need to improve profit levels. • Are there luxury homes in your area? • Are builders catering to a wealthier crowd? • Do you have do-it-yourself homeowners who are happy to invest sweat equity in order to have better products? • Does your area have a healthy business district that may patronize you in the future? If you’re still not sure if Bianco is the right choice for your plan, then speak with local designers, architects and retail stores to see how this stone is in demand in your area. You can also advertise for your company at the same time by giving them some information regarding your prices and ability to quick fill orders. There is almost universal appeal for this enchanting white stone. 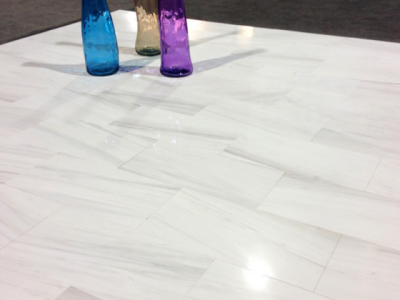 It makes a stunning backsplash, can be used on the patio, and will work on the shower floor. People have developed hundreds of uses for Bianco Dolomiti, and that can lead to a high, ongoing demand for this product. It looks great in almost any style of home, but the uses go far beyond the residential districts of your market. Due to its durability and classic style, it’s also a top choice for hotels, retail stores and even government buildings. You’ll want to be ready for potential sales by developing a positive relationship with an experienced supplier. Your customers will have different needs based on their upcoming projects. Designers may want to purchase a range of sizes for different jobs, but individual consumers may only need one certain size. We carry Bianco Dolomiti in a few different sizes, including 12, 18, 24 and 36-inch squares. We also offer subway tiles that are 12 x 24 inches. This allows you to cater to more of your potential customers so that you won’t have to worry about losing a sale. You’re focused on the profit margin of your business, and that’s based on more than just your outgoing sales. You need to keep all of your expenses in line from utilities and rent to your own purchase prices. We understand that you’re trying to operate a business, and we want to help our customers succeed. That’s why we offer highly attractive rates that are sure to fit with your business plans. We’re able to keep our rates low because we own the quarries and manufacturing centers. We keep our own expenses in line so that we can pass the savings on to you. This allows you to maintain reasonable rates so that you can attract more customers and move the Bianco Dolomiti tiles at a faster rate. We’re also proud to offer special pricing for large orders. Buying in bulk is easy when you know that you’re reselling, and you’ll save on your overall costs by finding the lowest prices on wholesale orders. You don’t have time for mistakes. When you place an order, you need to know that the right tiles will arrive in a timely manner. We pay close attention to detail with every order because we believe that your time is valuable. We’ll treat you with respect, process your orders quickly, and provide you with excellent customer service along the way. We strive to develop personal relationships with all of our wholesalers because we can help each other be successful and reach our goals. Invest in quality merchandise so that you can keep your own customers happy and make a great impression on first-time buyers. We have highly trained manufacturers who approach the process with an artistic eye. We seek to carve out damaged areas and work around weak spots so that our tiles can withstand regular use and last for decades. We give every order our full attention because we want our customers to be completely satisfied with the final product. When your buyers are in love with the products you sell, they’re more like to return to you in the future. We believe that you can have high-quality tiles at excellent rates, and we make it easy for you to give consumers, designers and architects the best of both worlds. We’re able to provide you with stones that we’ve quarried and manufactured ourselves, so we can guarantee the quality, color and consistency. Ensure that you have what your customers are looking for, and improve your profit margin by getting the low prices that you need by supplying your inventory with Nalboor Tiles. When it’s time to expand your inventory, look to a leader in the market for excellent quality at prices that will help your bottom line. You view our online catalog or give us a call at 1-305-501-4548 to speak with one of our highly trained professionals today.